It's Kids Listen Sweeps Month and we're joining the April Fool's fun (though pretty late). This episode features Heather Gotlib's original story of the real-life, classic prank called the Berner's Street Hoax, in which an unsuspecting family's home becomes the most popular destination in London. Also featured is Mick Sullivan's telling of Count Fortsas Book Hoax, which began with rare book collectors receiving notice of an incredible auction. Spoiler Alert: not what they think. Also "Deed I Do," Quiztime, and "You Have 30 Seconds!" Want more April Fool's fun? Check out our Kids Listen pals Composer Dad and What If World! Celebrate the big 3-0 with us as we head underwater. Brian West tells the story of Garrett Morgan, an inventor and brave man who created some really important things which are still around today. Mick Sullivan tells the story of Ezra Lee and the the long lost 18th Century submarine known as the Turtle. Also features a visit from Dr. Awkward, the Palindrome professor, quiz time and more info about our new book, The Meatshower. Ep. 29 Happy Birthday, Athena! Patty Hill (with the help of her sister Margaret) did much more than just write Happy Birthday, but that'd be achievement enough. Story by Heather Gotlib Their Friend Enid Yandell happened to be a world-class Sculptor. and in our telling of the tales, we'll weave in the Mars Rover, Athena's birth, and the coolest Bon Voyage Party ever! Incredible song courtesy of Dan Saks, from one of our favorite podcasts, Noodleloaf! Ep. 28: Trains And Movies! In this episode, Mr. Eric of What If World joins us to share the story of early moving pictures, including an often told (but probably untrue) story of the first train on film. The Lumiere Brothers revolutionized our world, find out why! Also, funny man Buster Keaton did some amazing things in his life, but nothing quite like a spectacular train crash that was the most expensive scene of the Silent Film Era. We debut our new "You Have 30 Seconds" segment with the help of our young friend Lucy, and Mick sings "Bringing in The Georgia Mail." And Quiz Time! The people of the late 1930's saw some fun music made by some remarkable women. Lilly May Ledford and her band from Pinchem Tight Holler, KY (YEOW!!) play for President Roosevelt, First Lady Eleanor and the King and Queen of England. She almost hugs the queen. Clara Rockmore almost gives up music entirely until she meets Leon Theremin and literally writes the book on a new instrument. Featuring the voices of Julia Purcell, Mick Sullivan and sounds by Todd Hildreth. Ep. 25: Fakes And Frauds! Some people just can't be honest, and some try to pass off something phony as something real. This episode is about a would-be Shakespeare named William Henry Ireland, and a gang of body snatchers who try to pilfer a president's dead body - gross! Featuring Rhea Pechter, Jonathan Messinger, and more. Written and produced by Mick Sullivan. Join host Mick Sullivan and friend Hanna Zimmerman of Locust Grove as we share the stories of Marquis de Lafayette's steamboat shipwreck, and Rhode Island lifesaver Ida Lewis. Also features a performance of the song "Sail Away Ladies," Quiztime and more! From the electric bathers of Coney Island to the King of England, no food has been as satisfying as a hot dog. You won't believe it as we weave a tale of dead whales, muckrakers, publicity stunts, and President Roosevelt. Who knew the hot dog was so interesting? With music by Big Momma Thorazine and featuring the voices of Mr. Eric from What If World, along with AJ Cornell. Ep. 21: Journeys! Horatio and Bud, John Ledyard and more! The history podcast for kids and adults joins the Kids Listen Sweeps party and tells two stories about two great adventures. Melinda Beck tells the tale of Horatio Jackson and the first drive across the country (and his dog Bud), while Will Oldham/Bonnie Prince Billy shares the story of John Ledyard - who would've made it around the globe if it wasn't for that touchy queen, Catherine the Great. Also features quiz time and a performance of "Long Journey Home" by Mick Sullivan. Stories written by Mick Sullivan. Someone hire him to write stuff, please. Ep. 20: Bridges - Emily Roebling, Sonny Rollins and more! Join us for two tales connected by bridges. First, Emily Roebling winds up as a lead engineer in the building of the Brooklyn Bridge, the first American woman to find herself in such a position. Second, Sonny Rollins, one fo the greatest saxophonists in history isn't happy with his playing, despite the fame he receives. His days on a bridge change his life. Also quiz time, and a new segment with Dr. Awkward, the Palindrome Professor. Featuring Mick Sullivan, Meg Samples, Graeme Gardiner, and Lani Powers. Ep.19 The Statue Of Liberty! Ep. 18: Music! Marian Anderson, The Great Caruso and more! Episode 18 of the most engaging history podcast for kids! Did the invention of the record player make an opera singer named Enrique Caruso the first superstar of music? It might just have. What did Marian Anderson do when she was denied the stage at a theatre because of the color of her skin? She found a bigger audience and a bigger stage. Featuring the voices of Jason Lawrence, Meg Samples, and Chaska, Mirabel, and Leilani from Book Power for Kids Podcast. Kate Warne saved Abraham Lincoln's life on the way to his inauguration. John Honeyman may (or may not)have been a double agent who helped George Washington's famous Crossing of the Delaware. We'll hear these stories and much more! You'll hear hear Amber Estes-Theineman sing the classic "I'm Confessin'" while you're here, too! Christmas Special 2018 - Mummies and Bladders! Ep. 16 Up In The Air! There are a lot of really great names in the past - like, just really cool sounding names. So we're picking a few of our favorites and telling a story or two about them. This episode features American Revolution figure Button Gwinnet and Harlem Renaissance artist Zora Neale Hurston.But there's a lot more ground we cover than just those two! Everyone loves cartoons! So we’re taking an unusual look at two big moments in cartoon history – when a vaudeville performer and comic-strip writer made animation history on a cold Chicago night, and also the time a cheeky political cartoonist brought down one of the most crooked politicians in history. Gertie the Dinosaur and Winsor McCay read by Amber Estes-Thieneman Thomas Nast and Boss Tweed read by Jason Lawrence On the Sunny Side of the Street performed by Mick Sullivan The Past and the Curious is a history podcast for kids, families and adults created by a professional museum educator with the help of brilliant friends. 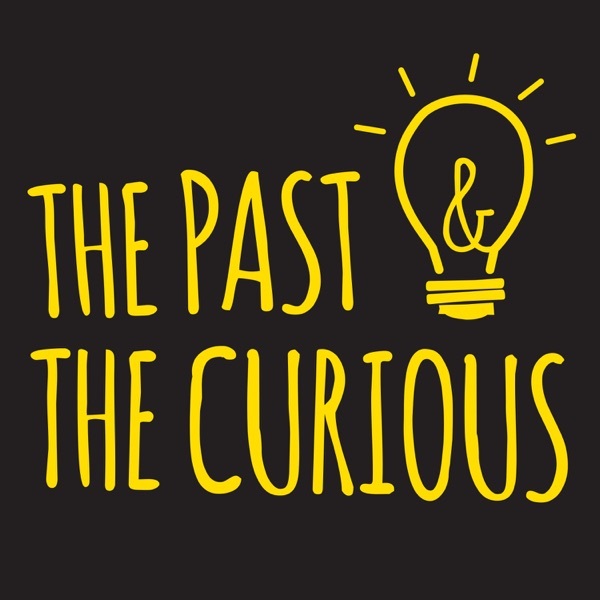 We are a proud Kids Listen member and dedicated to nurturing curiosity of the past in everyone. Written and produced by Mick Sullivan. Don’t steal things you didn’t create. Have you heard of the Mary Celeste? If you've heard of a ghost ship, this is probably the one. In 1872 it was found under sail in the Atlantic Ocean but with absolutely no one on board. What gives? And was this completely unique? It wasn't, but it is certainly the most famous case and we wanted to know more! Also featuring and original performance of one of our favorite songs "Devil and the Deep Blue Sea," written by Harold Arlen and Ted Koehler in 1932. Mick Sullivan plays mandolin, guitar, banjo, washboard, bass harmonica and probably some other stuff too. Women of Science! Join us for some 19th Century STEM stories. Heather Funk tells you about Mary Anning and the origins of "She Sells Sea Shells." Mick Sullivan shares the story of Mary Somerville and the origin of the the word "scientist." Both ladies did remarkable things in the science world at a time when it was pretty uncommon. In addition, Squeeze-bot plays "She Blinded Me with Science," quiz time and more. From Kids Listen member, a History and Music Podcast for young and old alike! Your favorite history show for the whole family is back and we're bringing the cheese! First, Graham Shelby reads "Andrew Jackson's Big Cheese," while Mick Sullivan shares some fun stories of hardtack, followed by the Civil War parody song "Hard Tack Come Again No More." There's Quiztime, Music and more! George Washington's frenemy Charles Lee, who you might remember from Hamilton, gets caught in his skivvies, the guy who built the Brooklyn Bridge remembers seeing Abraham Lincoln's undies, Mick sings a song about long underwear and more. Produced by Mick Sullivan, read by Victoria Reibel and Jason Lawrence. "Long Handle Time" song by Homer and Jethro performed by Mick Sullivan. Nelly Bly decides to travel around the world in less than 80 days, much like Phileas Fogg, the fictional character from Jules Verne's "Around the Wolrd in 80 Days" Also Henry Brown escapes enslavement in a dramatic way, earning the nickname "Box" Brown, and he later finds a career on the stage. Also, musician Chris Rodahaffer (Will Oldham/Bonnie Prince Billy) joins us for the song "I've Been All Around This World." Created by Mick Sullivan. Readings by Victoria Reibel and Jason Lawrence. Oh Yeah, and Quiz Time! Family Trees sure seem daunting, don't they? Once you get past your grandparents or great-grandparents it can quickly get confusing. Rae Anne Sauer from the Sons of the American Revolution National Headquarters in Louisville, KY has seen tons of people work to discover their family trees. According to her it's easier than you think - and you might discover some interesting things. If nothing else, you'll surely realize how connected we all are, so be nice to your brothers and your sisters! Enjoy our special episode, and while you're at it you can check out the list of Kids Listen Family Tree participants at the KidsListen.org Blog. Many Podcasts, One Theme! Check out our friends! Join host Mick Sullivan for some true tales of magic, or at least what appeared to be magic. Learn Franz Mesmer's gift to your vocabulary, hear about some young sisters who fooled America, and discover how a French Magician stopped a rebellion with his magic tricks. Along with Quiz Time you'll hear Tory Fisher, Brandon Johnson and Mick Sullivan perform "I'll See You In My Dreams." Mesmer and Fox sisters story written and read by Heather Funk; Houdin story written by Mick Sullivan and read by Victoria Reibel. This episode is fast paced and broken into small bites! We’ve squeezed in THREE great stories along with a song and quiz time! Really packed it in there - like sausage in a casing! Victoria Reibel wonders, did George Crumb invent potato chips? Jason Lawrence imagines a delicious new way to eat ice cream at the 1904 World’s Fair in St. Louis. Food Network Star, Chef Damaris Phillips joins us for a fun story about everyone’s favorite red vegetable - or is it a fruit? Chris Rodahaffer and Rob Collier join host and creator Mick Sullivan for a fun old song about chicken pie. WARNING: You might get hungry listening to this episode. Ep. 6 Heights: Ferris Wheel, Charles Blondin, East of the Sun and more! Episode 6 is all about Heights! Victoria Reibel reads a story about the time The Chicago World's Fair had to build something to top the Eiffel Tower. Jason Lawrence tells the tale of the the world's leading antebellum funambulist. The Tamerlane Trio performs "East of the Sun and West of the Moon" Episode written by Mick Sullivan. Steal it and you are lame. Ep. 5 Birds: Moon Migration, Cher Ami, Cluck Old Hen and more! In honor of National Bird Day, this episode features some great bird stories from history. Victoria Reibel reads the story of Charles Morton, a man who tried to explain the mystery of bird migration with an otherworldly hypothesis. Jason Lawrence reads the tale of Cher Ami, one of the bravest little birds the world has ever known. Mick Sullivan performs the traditional folk song Cluck Old Hen. All this and more! In this quick Holiday Short, we explore a few of the stories people offer as explanations for the unusual Christmas Pickle Tradition. We also found a Christmas Pickle recipe you probably won't want to try, and you'll love our 2016 Holiday gift pick. And if that isn't enough, we also have an unusual interpretation of a holiday classic song by Squeeze-bot (probably the best Accordion, Banjo Tuba and Tiny Drum band in the world). The Pony Express lives in legend, but didn't last long. Find out what it took to be join the team. (read by Victoria Reibel) Alfred Ely Beach kept a secret from New York City and built a Pneumatic Subway underneath it in the 1800's! (read by Jason Lawrence) This episode also features an original performance of "I'm Gonna Sit Right Down and Write Myself a Letter." All of the instruments were played and overdubbed by Mick Sullivan. Teachers, parents, adults who love good stories: check us out. This is just so you know what we're about, who we are and what we're planning to bring you. The real good stuff will follow, but you might appreciate knowing what we do and why we do it. We'll make it brief - we promise.